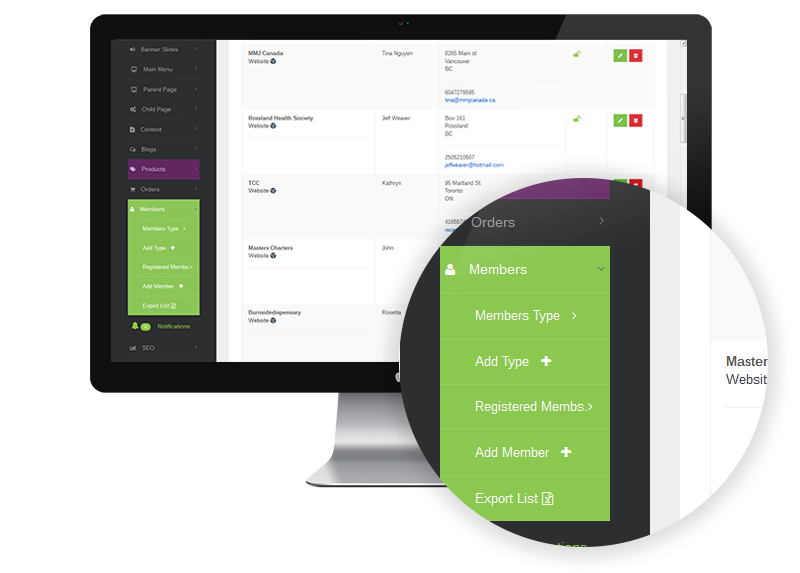 With our CMS and CRM you have a full 360 degree view of your members’ purchasing habits. This valuable information helps sort best selling products from dead inventory. Secured by SSL 128-bit encryption technology. Send Push Notification to members’ phones or desktops to stay top of mind, keep them informed of new products and market your cannabis business more effectively. Create email list to stay in touch with members. Built-in loyalty rewards, coupons and VIP program discounts are available and fully customizable.